The AW609 (formerly the BA609) is a product of the AgustaWestland company in a joint venture with Bell Helicopter Textron and the Finmecannica company of Italy. The AW609 is a VTOL (vertical takeoff and landing), twin-engine tiltrotor very similar in configuration to the V22 Osprey. The AW609 is partly derived from development experience gained working on the XV-15, a Bell Helicopters experimental tiltrotor. 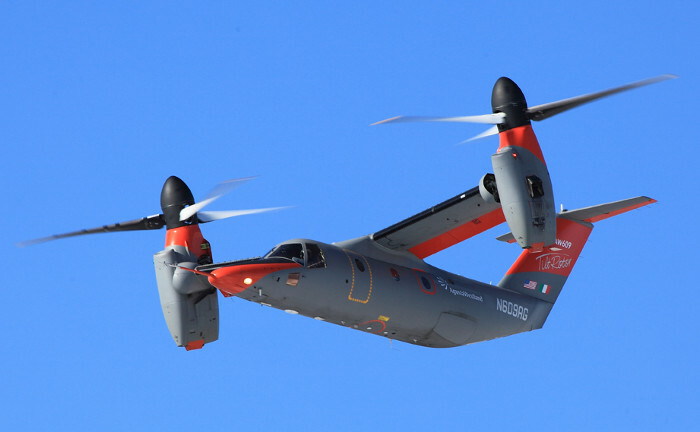 The development partner for an experimental tiltrotor was originally Boeing, but the company eventually pulled out of the project to be replaced by Agusta. Hence today we have the BAAC or the Bell/Agusta Aerospace Company. The AW609 was conceived as the ultimate multi-mission aircraft. The designs would have to take a diverse number of mission types into account such as off-shore operations, executive transport, medical transport, search and rescue operations and law enforcement. This diversity of mission roles for a single aircraft plays well into the strengths of a tiltrotor, since it can exceed the speed and range of rotorcraft, but land and take off from places that were traditionally only the domain of helicopters. Like many modern aircraft, the AW609 makes extensive use of composite material, with the fuselage consisting of composites over an aluminum internal frame. The cabin itself is also made of composite materials and can seat between six and nine people in total. 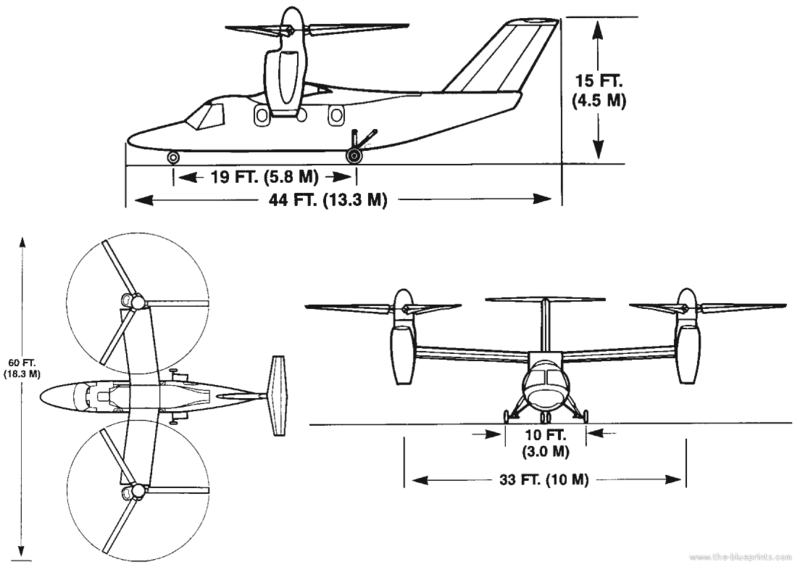 There are two nacelles with one three-bladed rotor each, which as the name “tiltrotor” suggests can tilt between forward flight and hovering modes. The two engines are Pratt & Whitney PT6C-67A units which each produce a continuous 1940 horsepower. This provides the AW609 with a cruising speed of 509 kilometers per hour and a range of between 1389 and 1852 kilometers depending on the presence of auxiliary fuel tanks. The AW609 will undergo final assembly domestically in the United States and it is estimated that 35% of the aircraft’s market will be from US customers. Since the AW609 has spent such a long time in development (since 1998), the asking price has increased over time. Initially the craft was touted to be seven million dollars to own, but now that price is set at fourteen million. Do you want to comment the Bell Agusta BA609 / AW609 helicopter?